Launched 5 years ago, the Ultraframe registered installer scheme is going from strength to strength. 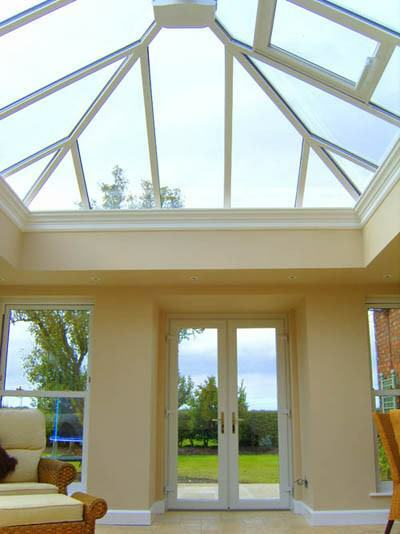 With 98 members/branches, the scheme offers consumers a nationwide choice of vetted and audited conservatory retailers. Vetting and auditing is undertaken by Ultraframe inspector who is experienced in conservatory design, specification and installation. Members have to comply to a Code of Practice, undertake annual skills updating and work to the GGF’s ‘Guide to Good Practice in the Specification and Installation of Conservatories within the UK’. In return, the scheme promotes members on the Ultraframe-conservatories website where it enables consumers to find Ultra Installers in their area. In January, over 500 leads were delivered into the inboxes of the 98 members/branches – leads were 77% up on the same month last year, perhaps evidence that once again consumers are looking for big ticket items. Ultra Installers now have a PIN number to log in to the Ultra Installer web site so picking up leads within seconds of the consumer filling in a form on line. Moreover, Ultra Installers can manage their leads within their PIN protected dashboard, moving the status of the leads from pending through opened to appointment, quote issued and finally to won. Through fulfilment cards inserted into it’s roofs, Ultraframe also knows what thousands of consumers think about their conservatory, their installation, their retailer, how many quotes they got and how long they were thinking about the purchase before they actually bought. 50% of consumers take up to a year from first thinking about a conservatory to actually getting one – this information is critical to understand when working with internet leads. In some areas of the country there are waiting lists to become an Ultra Installer whilst in one or two other areas there are vacancies. Recruitment is to strict criteria with companies needing a blemish free trading history and to pass a one day office/site based assessment and to have consumer references checked and to pass credit checks.